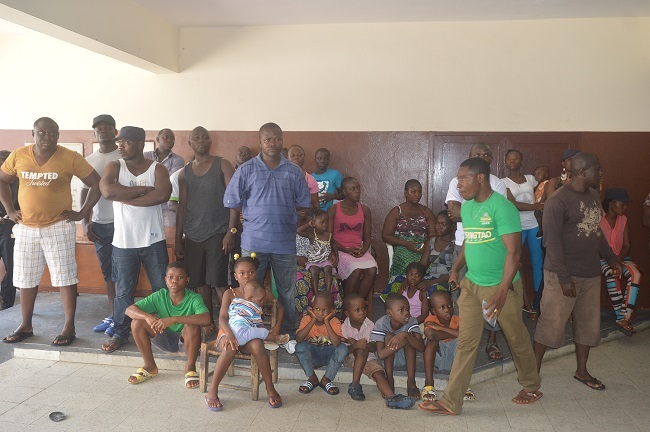 About 90 Liberian police officers along with their families have been released from a quarantine put on them after an outbreak of Ebola in the barracks in which they reside in the capital, Monrovia. Among those quarantine for one month in the Police Barracks were high ranking police officers. The wife of one of their officers have earlier died of the killer disease which led to quarantine of the area by the police authority. Deputy Police Director for Administration Col. Williams Molubah said that the one month quarantine was intended to stop the deadly virus from spreading, as well as to protect the lives of police officers and their families. He said the quarantined officers and their families received all necessary assistance including food, water and medicine. For his part, Police Inspector General Chris Massaquoi said the quarantine process was a reality, noting that it was not intended to stigmatize the officers as being reported in many quarters but to stop the spread of the virus. Police officer Edward Slewon who spoked on behalf of the de-quarantined officers thanked the police authority for saving their lives by putting an end to the spread of the deadly ebola virus. The World Health Organization says ebola is spreading exponentially in Liberia with thousands of new cases expected in the next three weeks. Conventional methods to control the outbreak were “not having an adequate impact”, the UN’s health agency added. At least 2,300 people infected with Ebola have died so far in the West African states of Guinea, Liberia, Sierra Leone and Nigeria this year. The WHO says 80 health workers have been killed by the virus.